Mary has only just buried her husband when she opens a letter which appears to reveal that he was hiding something from her – something which will change her world. Emily’s world has already been changed by a holiday pregnancy. How can she ever find happiness without the child which she had longed to bring up as her own? 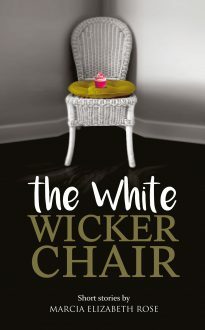 And what is the secret of Hilda’s white wicker chair? These seven stories are all about women, and all deal with the big issues of life – love, marriage, loss, grief, deceit, disappointment and getting your own back.